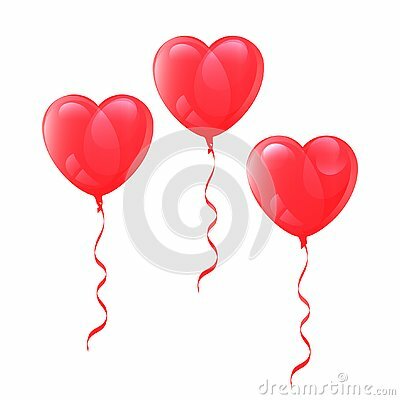 Vector image of realistic heart-shaped balloons on white background. Cartoon, Cute bear, vintage bicycle and heart shaped balloons. Vector illustration background for Valentine`s Day. Balloons are red and gold, round and heart-shaped, and ribbon frame. Doodle heart shaped balloons with lettering on white background.